The land of this appellation – or more correctly, Denominacion d’Origen – is a large L-shape that starts just above the city of Zamora (where the ancient Tierra del Pan – land of bread – region ends), runs for 40km south before heading east another 40km where it borders the more illustrious Toro DO. Indeed, Vino de la Tierra was considered (in the sense that it was tabled in discussions) to form part of Toro. A missed opportunity? Perhaps. Stoic viticulturalists say Tierra del Vino is too scattered to form a homogenous region with Toro. And even if Toro had asked Tierra del Vino to be a part of their DO, I doubt Tierra del Vino would have accepted. That might even still be true today. 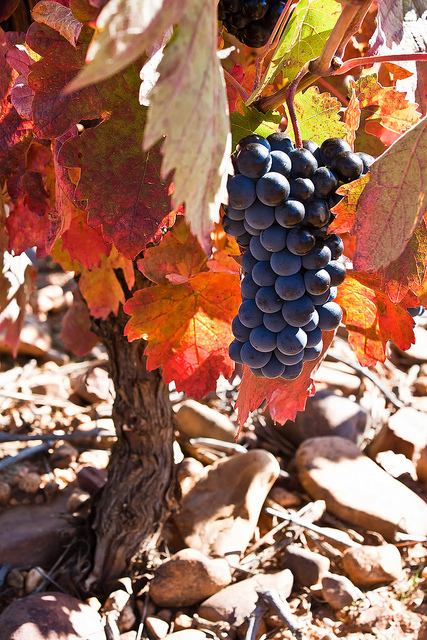 Toro and Tierra del Vino certainly share a lot of qualities in soil, climate, grapes and wine style. Even Esteban Sanchez – one of the three men behind Dominio de Sexmil – believes Toro’s western subregion of El Pego is more similar to Tierra del Vino in climate, style and soil than it is to the rest of Toro. Fair enough. Tierra del Vino, where Dominio de Sexmil is made, is known for its sandy soils, very old bush vines (Tempranillo is the predominant red variety), warm climate and powerful wines. Where it trumps Toro is in its marginally higher altitude. Where it suffers in comparison to Toro is in its lack of big names. 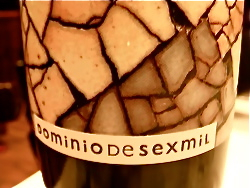 Luckily, though, there are examples out there of what Tierra del Vino can achieve, and Dominio de Sexmil is one. The winery is based in the village of Cabanas de Sayago: a cluster of houses perched on a hillock that marks the beginning of Sayago country – a rocky landscape covered in squat oak trees that stumbles west for 50km all the way to Portugal. Cabanas’ neighbour, the village of Villanueva de Campean, is arguably the heart of Tierra del Vino. It boasts three bodegas – the co-operative and two very good wineries: Triton and Cenit (although Triton owns vineyards in Toro and Tierra del Vino and declassifies itself to Vino de la Tierra de Castilla y Leon). Here, around the old Roman road and, what later became the pilgrim trail from Merida to Santiago de Compostela (the Via de la Plata), they say the Romans started grape cultivation. It is believable. Although they clearly do not date back 2,000 years, some of the vineyards around Cabanas and Villanueva are so old no-one can tell you when they would have been planted (some easily into the 19th century). The viticulturalists with more meticulous records can go back to the first years of the 20th Century. Some of their vines are not half the size of the oldest. Sexmil takes Tempranillo (or Tinta del Pais, as the more ampelgraphically minded viticulturalist will angrily tell you) from some of the best vineyard sites around both villages. It is a tiny operation, producing no more than 4,000 bottles annually (around 3,000 for the standard Dominio de Sexmil and 600-900 bottles – or 3 barrels – for Summa, the top wine). They claim yields of 14 hectolitres per hectare (hl/ha) for the former and 9 hl/ha for the latter – incredibly low by anyone’s standards and perhaps more indicative of the vine age than agressive pruning techniques. As for the wines, they are what you would expect from such a region: (noticably) high alcohol; dark fruit; strong tannins. When tasting them it’s easy to talk of ‘showy’ or ‘modern’ wines but the characteristics of what we might call an ‘international’ or ‘modern’ style wine are a pretty true representation of Tempranillo in Tierra del Vino or Toro. Alcohol, fruit and tannin are unavoidable. Personally, I find the Sexmil wines remarkably fresh (in general, the region’s wines lack acidity) but I must stress – if it isn’t already apparent – that I am very familiar with Tierra del Vino and Toro and that my perception of freshness is likely to be on a different scale to that of the casual, and more promiscuous, quaffer. What is even more debatable is the use of oak. Certainly in Summa, the oak has helped to make a beautifully structured and perfumed – if expensive – wine. That these wines can take this level of oak (Summa is barrel fermented in new oak and then aged in a different, new, barrel) is undoubted. Whether they need it is something I believe only time will tell (Sexmil has only been going since 2003). I think, though, that erring on the generous side these wines should integrate the oak nicely over the passing years. Very powerful, but nice nose of dark fruits with definite toast and oak. The high level of alcohol is noticable on the finish but this is a very nice, big, fruity wine and although it does finish hot, it isn’t unpleasant (although some might claim that’s an oxymoron). Still, for €15-18 a bottle, this is a great example of Tierra del Vino. Very fine, elegant, almost perfumed nose with still the same base of dark fruit. In both of these wines I got a hint of chicory, but that might have been a residual flavour left over from the salad served during the tasting… This is an impressive, beautifully fine-textured wine. The structure is quite fantastic but it still has great power – not for the faint of heart. At €42 though, this is expensive stuff. Buy the standard wine instead.